A US defence official says the US navy is planning an unusual task force deployment off the West African coast. 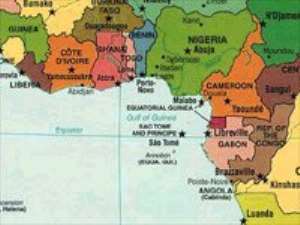 Local reports quoting diplomats say an aircraft carrier will deploy to the waters off Nigeria and neighbouring countries (including Ghana) in the strategic Gulf of Guinea. Pentagon officials will not confirm specific plans but one official acknowledged that the US navy is planning an unusual exercise off the West African coast. There has been talk for some time from senior US commanders in Europe of the need to focus more attention on Africa, including periodic deployments by aircraft carriers. There is particular concern about emerging terror threats in what have been called "ungoverned areas" in the region. The Gulf of Guinea represents an area of growing strategic importance because of an increasing number of offshore oil operations. A senior navy official said recently that a deployment to the Gulf would send a message. More broadly, this is linked to a US navy plan to deploy seven aircraft carriers around the world in the coming months in a surge operation to demonstrate that it can still respond to different crises, despite the US military's preoccupations in Iraq.